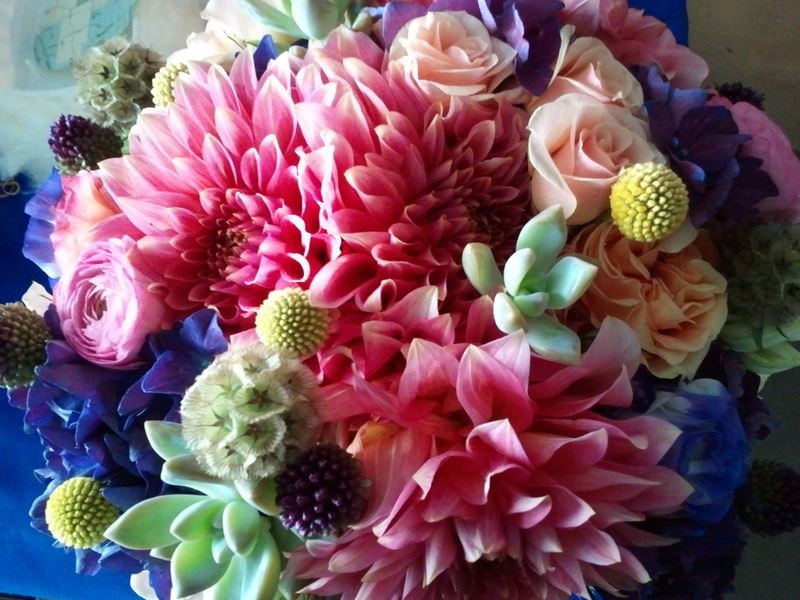 This entry was posted on Sunday, July 24th, 2011 at 1:09 pm	and tagged with Billy balls, colorful bouquet, craspedia, dahlia, facebook, lisianthus, mini spray roses, peach roses, purple hydrangea, ranunculus, succulent bouquet and posted in Portfolio. You can follow any responses to this entry through the RSS 2.0 feed. Such a gorgeous arrangement!! Textures and color galore!